I need a job so I can go shopping! I want just about everything on your list this round! I love your UTube videos and blog, Emily. So it would awesome to see a blog accompanied with a video. By the way, have you tried the new Rimmel Lasting Finish 25 hour foundation yet? I'm not sure if it's "new" in the US, but I noticed drugstores clearing out the Rimmel Lasting 16 hour foundation in Canada. Check out PharmaPlus if you're in Canada! <3 Clearance! Great post! Love the NYX jumpo pencils. Would love to see a blog post with a rundown of the contents of the video for all the shopping list/haul videos. You probably don''t have to make a blog post for each tutorial, etc, but with the videos where you review a lot of products it would be very helpful. 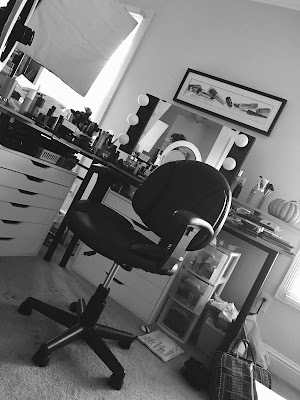 Thanks for all you do for the beauty community! A blog accompanying the video that mentions the products you are discussing/wearing or in the video info bar. Either way! I love how you include brands like L'Oreal and ELF in your shopping list ideas. It's nice to have affordable items to purchase on a whim based on your recommendations. I love L'Oreal Voluminous! It's the only mascara I've tried that doesn't flake or smudge all day, but still washes off with just water. 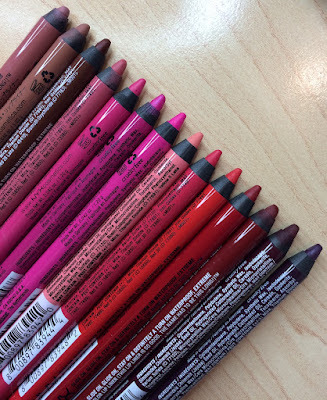 I also love the jumbo NYX lip pencils - I just got one today called Hera that's a gorgeous pink with a purple shine to it in certain light! I can't wait to wear it out! I have the NYX pencil in that shade....deff wanna try EOS too. Good shopping list.. i also love the nyx lip pencil. Great ideas. I would love to try them as well. I'm glad that I saw this article. I find it helpful in a lot of ways.